Our annual Four on the 4th Dog Jog & Walk is just around the corner and this is the perfect opportunity to talk about a sometimes hairy, always smelly issue....dog poop! Did you know that according to research conducted by the American Veterinary Medical Association, 37.4% of Washington State households own dogs, with an average of 1.7 dogs per dog-owning household? (If you, like me, are a die-hard dog owner, this is huge for the program!). As much as you or I may love our dog-neighbors, dog ownership can cause problems. Did you know that pet waste contains harmful microorganisms that can be transferred to humans? Consider that there are approximately 50,000 households in Bellevue. Based on the aforementioned research by the AVMA, that means there are over 30,000 canine residents in Bellevue! If, on average, every dog creates 0.25 pounds of solid waste per day, this means that our four-legged family members produce 7946 pounds of raw sewage every day. That’s ALMOST 4 TONS OF RAW SEWAGE daily! Pet waste contains harmful microorganisms that can be transferred to humans. 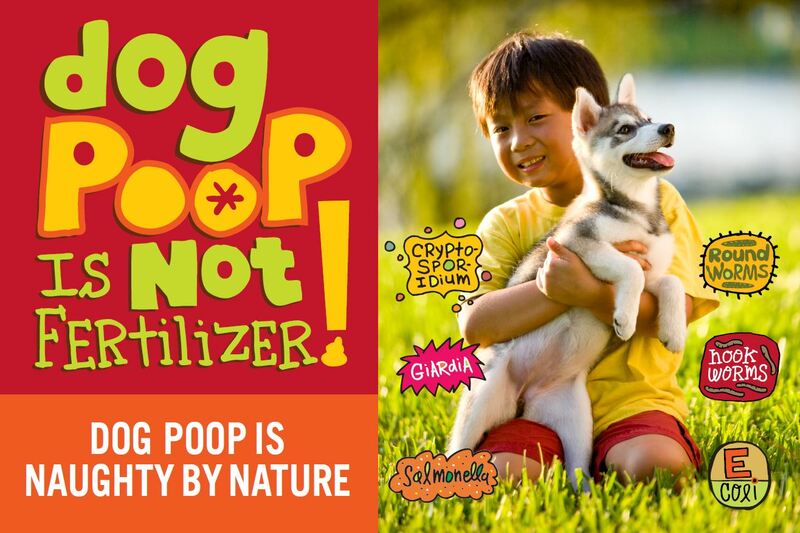 Dog poop is raw sewage. Pet waste DOES NOT belong in yard waste bins. Flushing it is OK if you’re not grossed out by bringing it in your house and you DO NOT have a septic system. Remember, the only paper that should ever go down the drain is toilet paper – NOT Kleenex or paper towels. What's the easiest solution to all this raw sewage? It's easy - just do your part! Scoop the poop, bag it, and place it in the trash. Bellevue Stream Team will be on-site at this year’s Four on the 4th Dog Jog & Walk to answer any questions you might have. We hope to see you at the event! Bellevue Stream Team will be on-site at this year’s Four on the 4th Dog Jog to answer any questions you might have. We hope to see you at the event!